Meadow Point Villa. 2/2/2 with Den on Pond. Upgrade kitchen w/ Corian. Washer/dryer, dishwasher, microwave, refrigerator, range & cost efficient gas heat. Community pool & playground w/in walking distance. Lawn service included.Master bedroom has walk in closet. Master bath has dual sinks with vanity area, and glass enclosed shower with shower heads and upgraded tile border. Den is 13 x 12.9. Other extras include Security System, Sprinkler System, Arched Doorways, Volume Ceilings, Tile in all wet areas, Plant shelves, Split Floor plan, Blinds throughout, upgraded ceiling fans with lights in master bedroom and great room, and cost efficient Gas Appliances. Covered, screened lanai in rear overlooks pond. 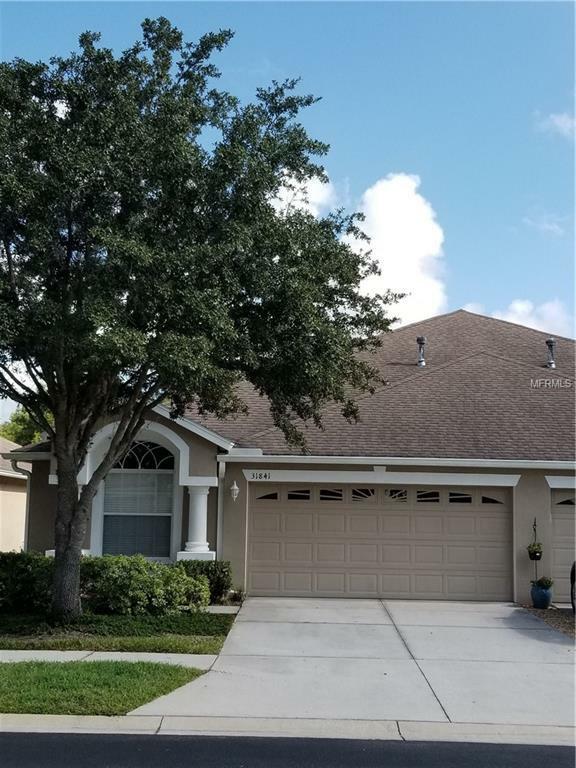 Close to schools, dining, shopping, USF, and Tampa. Monthly HOA Fees very reasonable.